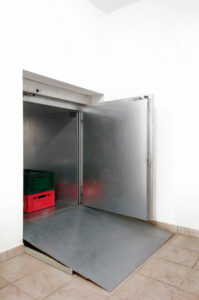 At Elevate we offers a range of Service lifts/Dumb Waiters with load carrying capacities ranging from 50kg -300kgs. 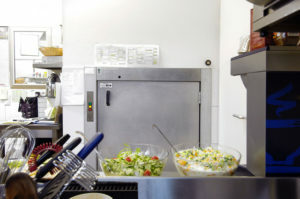 Our service lifts are sourced from our specialised service lift manufacturing partner in Germany and offer unrivalled quality and reliability compared to other equipment on the market. 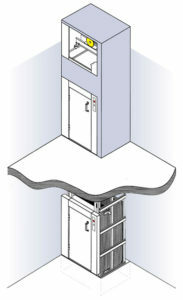 Because of the modular design of these lift they are versatile and easily adapted to suit a variety of uses and are ideal for installation in new and existing buildings. Offices, Warehouses and Production Facilities. Hospitals & Nursing Homes . Domestic, Residential and Daycare Centres. 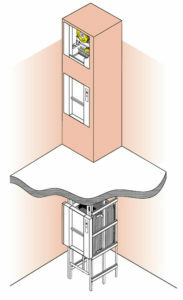 Our service lifts come with a self-supporting structure as standard which reduces structural building works and installation times, it also makes these lifts ideal for use in both new & existing buildings. 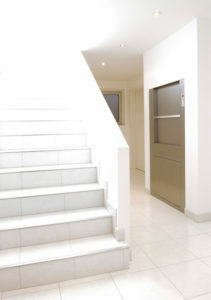 For more information on our service lifts please click on our product brochure or contact us and we’ll be happy to help. 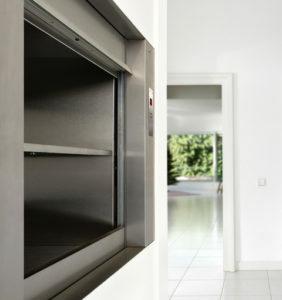 Elevate Lift Services is an Independent Irish business providing lift services including maintenance, repairs and installation of lifts and escalators. With over 18 years experience in the lift industry we can provide solutions to all your lift and escalator requirements.